Built in 1854, a vessel that would be about 1/3 the size of the later Down Easters. 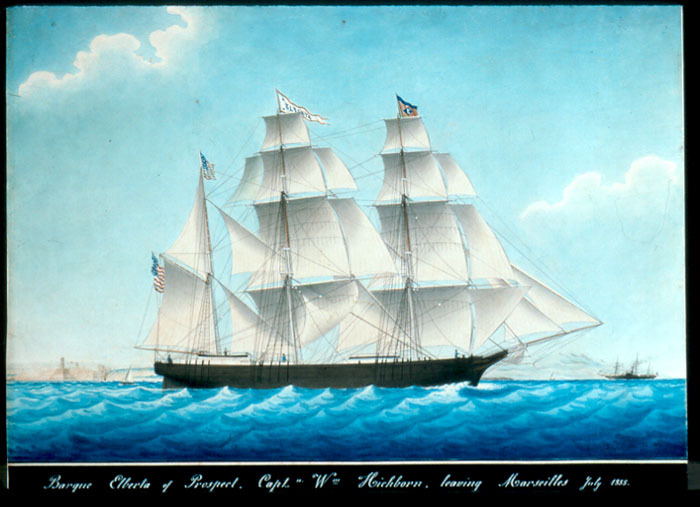 Painting probably done on a maiden voyage by Honore Pellegrin, one of a long line of Marseilles marine artists, who worked chiefly in watercolors. Painting shows the vessel leaving Marseilles, July, 1855, Capt. William Hichborn, master. Signed and dated "Pellegrin, Marseilles, 1855."